More than half of iPhone users in the U.S. upgrade their phone as soon as their provider allows it. That’s not surprising since we, as consumers, are constantly being offered options for faster, more up-to-date personal technology. Substation and medium voltage operational technology is also continually evolving and improving, but at a slower pace. 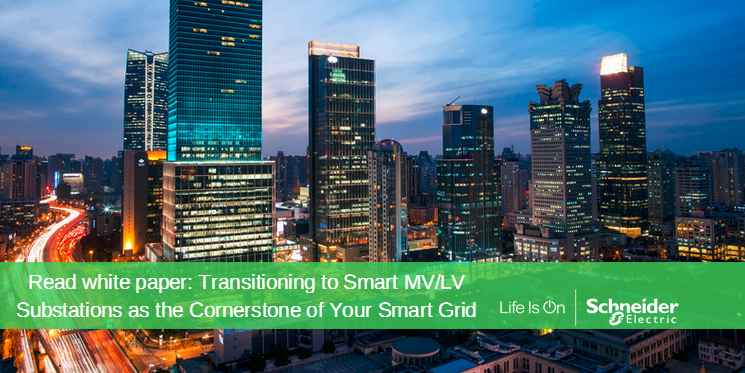 It’s changing to accommodate the complex challenges that have arisen from (and are driving) more decarbonized, digitized and decentralized power distribution systems. Increasingly, this means that modern electrical distribution technology—for things like substation automation systems, switchgear, transformers, protection relays, and Remote Terminal Units (RTUs)—is imbued with new digital features. Still, it is no small feat for electrical networks to adopt new technology. It takes a thoughtful, careful, methodical approach. New assets must meet strenuous technical requirements as well as integrate smoothly with existing network infrastructure and constraints, while also being fast, safe, secure, easy to use, and ready to accommodate future network changes. Here’s a look at the key features utilities and other electrical network operators should consider in order to meet the increasingly complex demands of an evolving power network while coping with uncertainty. The ingredients for future substations include switchgear, sensors based on IoT technology, operational technology, and IT communication infrastructure linking OT and IT for operations and added-value services like asset management. The whole industry is, to a greater or lesser extent, growing more digital, and coming online with IoT. Technology must support this shift. Easy-to-use mobile apps are a crucial component of digitization. Users want to be able to easily access information from anywhere via their mobile devices for greater efficiency and convenience. Cyber security is a major concern across the whole electrical grid, and understandably so—a security breach can be costly and damaging for a business and its customers, hurting the critical infrastructure of modern societies. In the energy sector, especially for electrical distribution utilities and electro-intensive industries, cyber security improvements focus on reducing the risks of power interruption and outages from either accidental or intentional actions and improving the quality of services. Substation devices and operational technology have made huge strides in this area. Some of the cyber security features you should look for when choosing technology are compliance with security standards such as IEC 62351 and compatibility with the role-based access control (RBAC) approach, where permissions are based on job function, not a generic password. Protecting people and assets is always a priority, and technology must support this goal. Medium voltage switchgear should provide a high level of safety. Specialized functions like arc flash protection help increase safety levels and switching operations can even be extended by wireless remote operation. This puts personnel at a safer distance from harm, far enough away from that switchgear operation or heavily loaded transformer. Electrical distribution technology should be evaluated to determine how it will be utilized and how it can simplify its users’ tasks. It should be easy to use, install, and maintain, and simplify tasks like ordering, accessing data, configuring, and viewing information. The value of IEC 61850-based engineering, for example, allows sustainable, vendor-agnostic engineering data exchange between current and future devices across the entire lifecycle of the substation. In addition to being scalable, future-ready, and easy to integrate into a substation to maximize the investment, substation equipment should improve reliability and reduce unscheduled downtime by protecting electrical equipment in new and better ways, such as condition-based monitoring. Today, for example, we see condition monitoring sensors that provide thermal switchgear supervision using IoT technologies like ZigBee. And asset management tools can already make use of that condition monitoring information to optimize investments and maintenance costs by moving from time-based maintenance to condition-based maintenance schemes. All communicating devices for substation automation, like RTUs, meters, and protection relays, should be designed for easy data exchange and built according to the IEC 61850 standard for communications. Those devices should be designed to be interoperable with the use of current communication standards and with the future networks. Easy integration and interoperability with other devices is important, so network equipment should be vendor agnostic, which is why adherence to standards is crucial. The energy business has already been shifting as it grapples with challenges like increased demand and a stronger push toward decarbonization, and all signs point toward this continuing. Now is the time to consider if your utility or business has the right technology in place to meet its goals for the future.